As simple as it may seem, there are many site owners out there who do not know how to submit their website: some forget, while others do not know how to make the URL along with content available to the public eye. OR in this case, available on Google. The number one rule of building a web presence starts with getting yourself out there. Visibility is the key to reach traffic, potential customers and clients and to basically grow a brand, be it personal or corporate. And in order to be visible, your website needs to enable the option of being found in search engines. Specifically, to appear in Google. So how do you do that? Make sure to make all the pages and contents “public” so that anyone can visit your website and read through it. Don’t limit IPs or geographical areas. If you target international audience, use a language that is widely known, such as English. Creating a proper sitemap is an additional benefit. If you’re using WordPress, then you can install the WP SEO by Yoast plugin and just check these functions. It’s pretty easy. If you’re using other CMS, then you can manually upload a Robots.txt file and manually add the “index, follow” functions in the source code of your page(s). This is done quite easily: go to this link ( https://www.google.com/webmasters/tools/submit-url?pli=1 ) and submit your website by placing the URL in the box. And then you wait. That’s pretty much it. 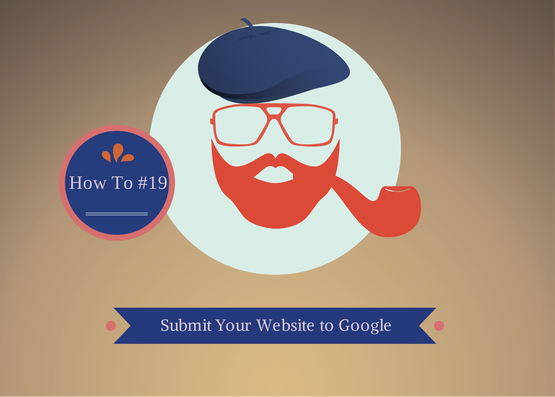 Make sure to create an account for Google Search Console as soon as possible. This is probably the most important tool for search engine optimization – sites can use it to check click data, positions’ changes, impressions etc. Have in mind that Google Search Console uses Google’s data. If you’re focused on some other search engine such as Bing, you should use a different program. Almost every Google’s service is regularly updated and works in real-time. This means that the data will be relevant and process will be performed pretty quickly. The idea is that if Google’s web spiders find links that point to your website, they will be indexed and your website will move in the SERPs: meaning you get to rank higher. Fortunately, since 2011-2012 until present Google has started indexing websites pretty fast (it’s a matter of hours or days – hardly weeks). So all you need now is fresh and unique content and be ready to get indexed in no time. Liked our article? Check out more tips and tricks to build your website and leave your email address if you wish to subscribe for more news! Read our blog, and don’t forget to share the knowledge with your friends on social media!